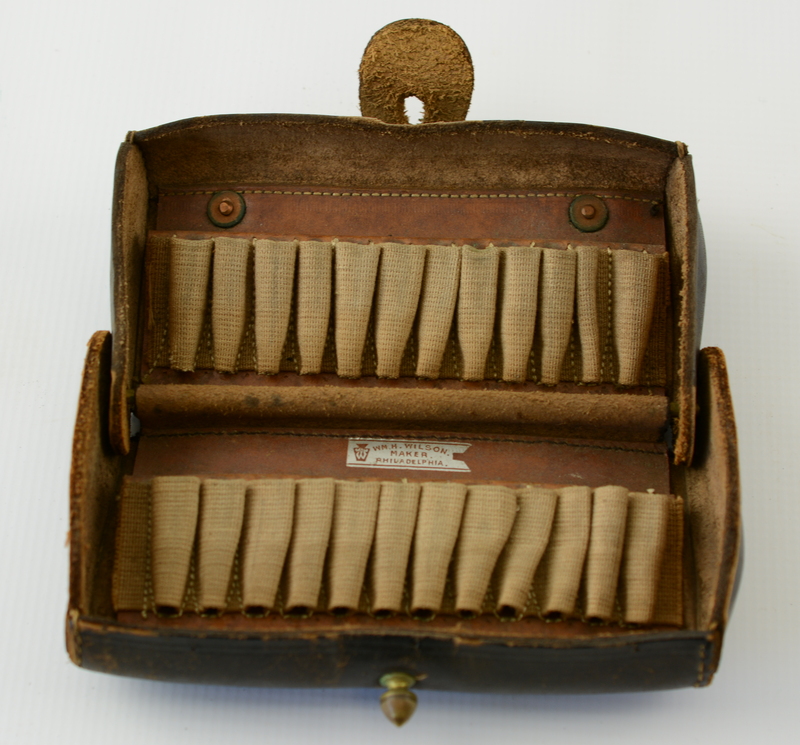 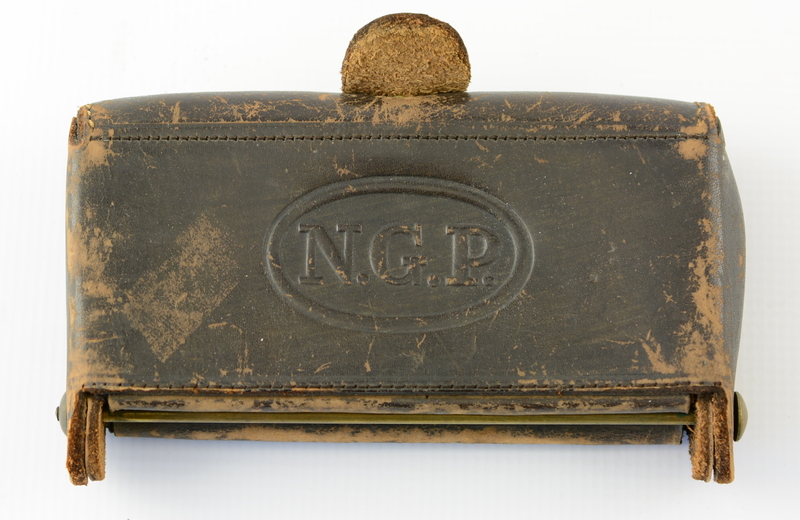 Description: This is a brown leather, “NGP” embossed McKeever box that has canvas loops for holding 24 cartridges (.30-40 Krag). 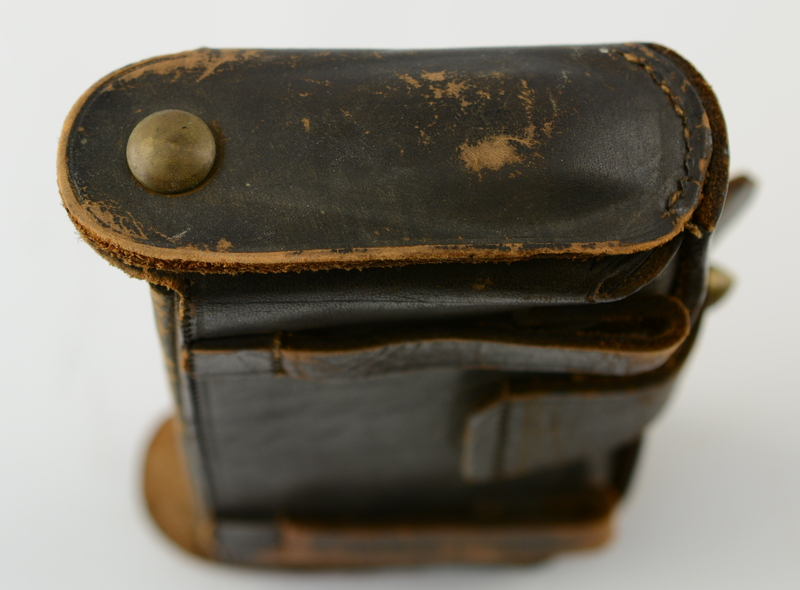 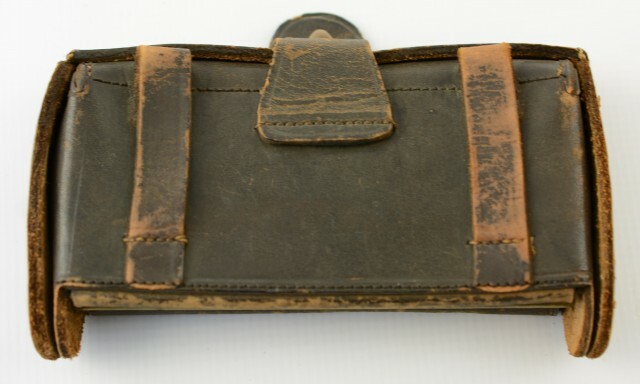 The leather is in very good shape with numerous small surface scuffs and minor blemishes, as well as flaking on the closure tab, belt loops, and edges. The canvas loops and are in fine condition with an embossed “WM. 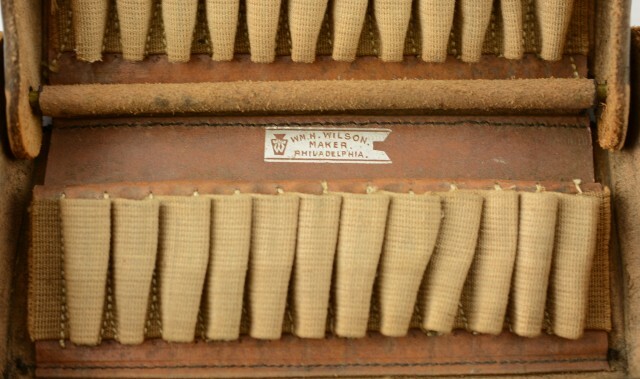 H. WILSON / MAKER / PHILADELPHIA” maker mark on the inside as well. 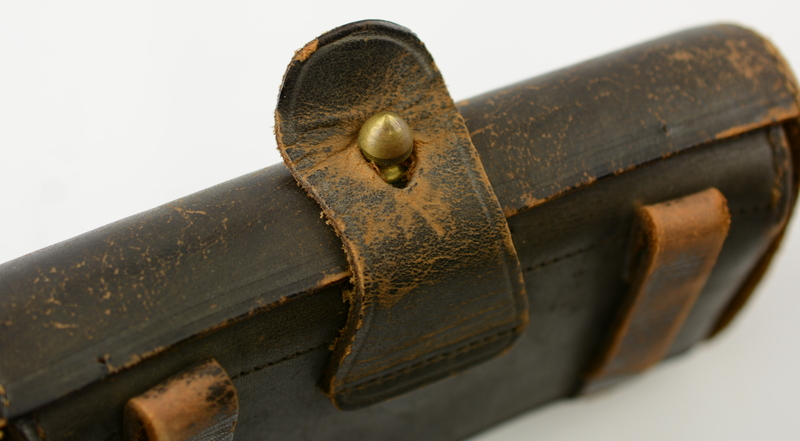 The box rates about very good condition overall.